Estonian Institute in Hungary invites everyone to the Estonian culture festival “Estonian week”, which is held for the 11th time this year. The festival will start on March 19, when the project “(Re)start Reality: Digital Street Art” by the street artist Edward von Lõngus will be presented in Budapest. The versatile cultural programme can be enjoyed in Budapest, Debrecen and Szeged. In the Estonian week, there will be screenings of the latest Estonian movie production in three Hungarian cities. The programme includes feature films “November”, “The Man Who Looks Like Me”, “The End of the Chain”, “The Dissidents” and “When You Least Expect It”, a documentary “Soviet Hippies” and a selection of the latest Estonian animations. On March 20, Kadri Voorand, who has been nominated an Ambassador of the Estonian Jazz, will perform at the jazz club Opus of the Budapest Music Center with a contrabass player Mihkel Mälgand. On March 21, the literature night organized by the EUNIC cluster in Hungary will take place in Budapest, where the Estonian literature is represented by Mart Kivastik’s novella “Panorama”. The Hungarian translation of the novella was published on the seventh volume of the so-called “Breviariums” series issued by the Estonian Institute and Pluralica. On the evening of March 22 and 23, the stage work “Just Filming” can be seen at the Trafó House of Contemporary Arts. Juhan Ulfsak and Hungarian actress Annamária Láng will play in the production directed by Kristian Smeds. After the first performance, there will be a conversation with the director and actors. On March 27, there will be book presentations at the culture club Nyitott Műhely in Budapest. This time, Viivi Luik’s “Shadow Theatre” and Paavo Matsin’s “Gogol’s Disco” will be discussed with the participation of the authors. During the Estonian week, the exhibition “Wood in Estonian Architecture” will be exhibited at the FUGA – Budapest Center of Architecture in March. The finnisage of the exhibition will take place on March 25. Then the exhibition will travel to the Debrecen Museum of Contemporary Art. The exhibition will be opened on April 4 by the general architect of the city of Debrecen, Zsolt Tibor China. There are two more exhibitions opened during the Estonian culture festival: at the Molnár Ani Gallery in Budapest, Marge Monko’s solo exhibition “Women of the World, Raise Your Right Hand” is opened until April 23, where the videos, photos and installations observe the relationship between the publicity and the cultural values of being a woman. And at the University of Szeged, you can visit the Estonian Institute’s exhibition “Estonian History in Pictures”, which introduces the most important events and key figures in Estonian history from the end of the ice age to the present day. Throughout Estonian week, the Budapest restaurant Kazimír offers Estonian dishes. The Estonian week runs until April 7, 2018, the exhibitions will remain open for a longer time period. The main organizer of the cultural festival is the Estonian Institute in Hungary. 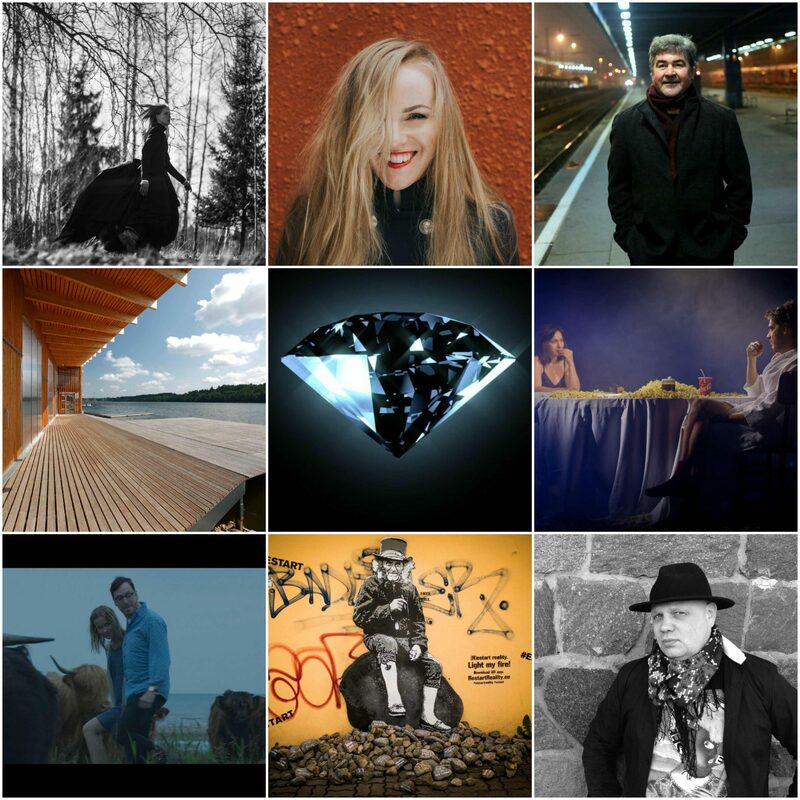 The Estonian week is supported by the Estonian Ministry of Culture and the Cultural Endowment of Estonia.